Adds in various Mobile Suits from Iron-Blooded Orphans (and probably other MS' from the Gundam series). -Add Persean League and Hegemony faction variants of the Shiden and Graze respectfully, and an Isaribi variant for each. -Added in Alaya-Vijnana System as a hullmod to custom variants. -Added in Space and Dáinsleif Graze variants. -Re-did/edited all sprites, some more than others. -Changed various texts in descriptions and names. -Edited variants more, and added in a few for the Space type. -Fixed variant files where they were just outright replacing the vanilla ones and themselves so now certain factions will have different mech types. Pirates will have the Man Rodi, Luddic and independent will have the Shiden, and the rest will have the Graze. Customs wont be implemented into faction fleets currently. -Added a few more variants that will pop up. -Edited stats so the custom versions are slightly different, and show up less common. -Added Landman Rodi and standard Graze. -Edited tiers so the basic versions (graze and landman/man rodi) will show up more often in the market place. Uses the wanzer bases from Tartiflette and FlashFrozen's Diable Avionics mod for reference. With permission I'd add. Now let the Wanzer vs Mobile Suits fight begin! At the moment currently the Graze Custom and Man Rodi are in and available to all vanilla factions. I saw this on the 4chan thread. You can't see these suits against the backround of space Butter. And I'm not sure how you would fix that without *** up iconic color schemes from the various suits. I dunno, I can see the ships pretty clear against the background, could just be me though. Nice! I'll have to try this out. It's kinda funny to see other people messing with infantry style units, I know Diable has been around but it's been pretty much the only one playing with that until now and I thought I would be the second, but here you are! Maybe I'll be third. I have a suggestion for you, too. You know that there are the ships that launch the gundams? You should make those ships. Aw man, now I have to try this out. Should've released this on mecha Monday, but I digress. Nice, these are pretty cool. 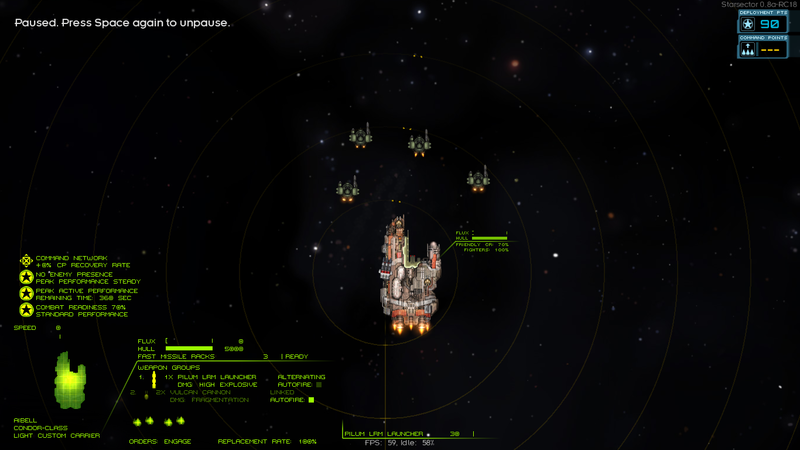 New version up, added in some more MS' and variant files so they'll show up in faction fleets. 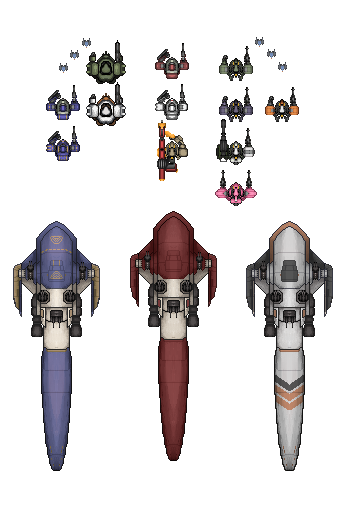 New version, fixed a problem where the carrier variants were replacing the vanilla ones and themselves, also added in a few more variants, mainly just the heron. New updated, several things changed and a few more suits added. Quite cool, mechs make any sci fi cooler. Do you think you'll make the mobile armor at some point? Thanks, and possibly, if I do it wont be for a while, and prob wont be a player ship but who knows on that really.